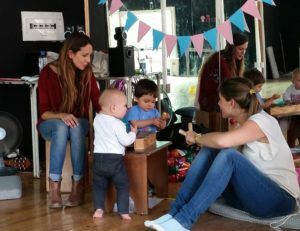 What is my job as an Au-Pair? Your area of responsibility as an Au-Pair is mainly related to the children of the host family. For example, you will have to supervise the children when the parents are out or otherwise occupied. You will play, sing, and read with them, and help them with their homework. You will support the parents with bathing and dressing the children, preparing their meals, and feeding them when needed.. Some families also need help with driving their children to kindergartens and schools and accompany the kids to extracurricular activities, such as after school programs, music lessons, among others. In the evenings, you will be responsible for putting the children to bed, and if needed, babysit while the parents are out. You can also be assigned easy tasks in the household, such as helping with straighten up the house, washing and ironing the children’s clothing, cooking simple meals, washing dishes, watering plants or organizing the dish washer. In return, you will receive an allowance that can vary from 150,000 to 250,000 Chilean Pesos per month (approximately US$260-325). The amount of the allowance differs with each family and depends on the amount of working hours per month. For some tasks, it is necessary to drive the family’s car. Therefore, you will need a valid international driver’s license.